The Texas Pioneer Foundation has provided a generous grant to The Meadows Center for Water and the Environment for educational improvements to Discovery Hall exhibits at Aquarena Center. Now part of The Meadows Center for Water and the Environment, Aquarena Center’s Discovery Hall is playing an ever increasing role in providing innovative technology-enhanced education about water to young and old. 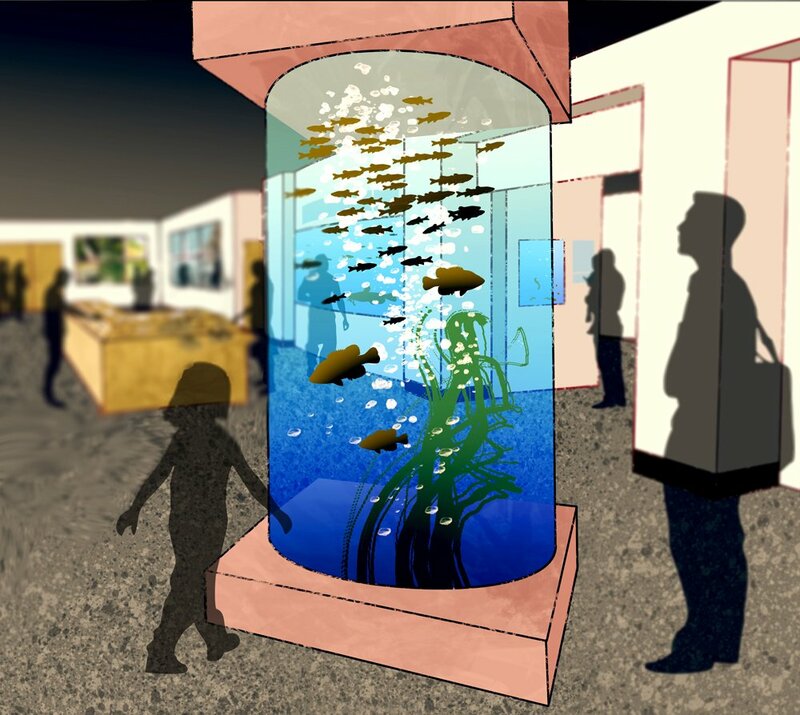 In particular the Foundation’s grant will support the purchase and installation of a state-of-the art aquarium that will showcase the species of Aquarena Springs and deliver an unforgettable education experience to all who enter Discovery Hall. Destined to be the centerpiece of improvements now underway, the new aquarium will be the first education exhibit to greet visitors as they enter the hall. Once the new aquarium and educational enhancements are complete, over 17,000 students in school groups will have these as part of their educational curriculum on water and the environment each year as they visit the Springs. The over 100,000 youth and adult visitors to Aquarena will also enjoy the new exhibits, including a new iPad/iPhone app that can be used on nature trails, the wetlands boardwalk and throughout Discovery Hall. New exhibits are designed to help students and teachers meet state-required standards for science education. Aquarena Center is also site of a new, first in the nation, STEM education program for Job Corps students. STEM stands for Science, Technology, Engineering and Math and is an area of education particularly important to maintaining a strong America. The new educational exhibits funded by the Foundation will form part of the STEM Core education.